These Pet Mats are available in very attractive designs for pet animals or also of any animal as per the requirement of the customer. It can be used for your pets in house since it can also be washed and reused number of times. We are one of the renowned and well-known industries which are extensively engaged in providing several kinds of supreme quality Fodder Mat in the market. These products are manufactured using quality tested raw materials. 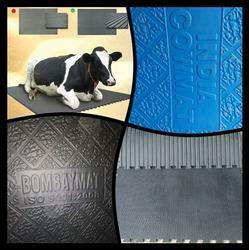 We are the best in industry in providing our customers with Pet Bowl Rubber Mat. These mats can be customized as per the demands of clients. Your naughty doggie deserves a mat that complements his mischievous antics. Uniquely printed in an attractive blue color while also being super comfy and durable, this is bound to delight you and your dog. The Canine Studio offers the perfect platform for pet mating! Choose from existing options or sign your pet up for mating! Rubber Kennel/Sty flooring is highly useful in pet care centers for maximum comfort for their pets. These are used in dog runs, areas where pets play and training areas. 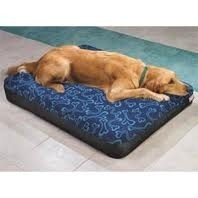 Anti-fatigue qualities of the mat reduces the amount of stress on the pets' joints back and muscles as well as protecting the joints of the people playing or working with them. It is easy to clean.